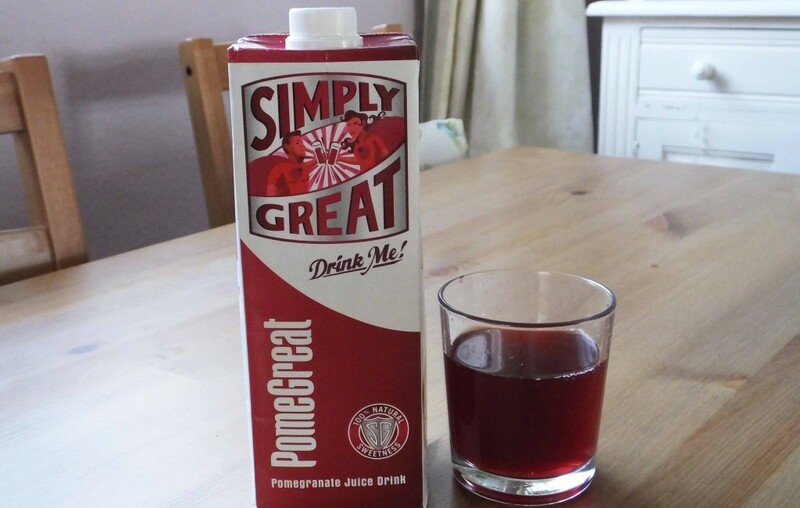 We regularly drink pure pomegranate juice at breakfast so we were looking forward to sampling the Pomegreat pomegranate drink from Simply Great. This was a refreshing drink packed with the great flavour of pomegranate. The main sugars in this drink come from the natural fruit of pomegranate, which are much better than the sugar that is in most pure breakfast drinks. Pomegreat pomegranate is just one of three flavours from Simply Great, who also do a pure cranberry and pure mango drink. While we haven’t tried any of these other flavours, we’ll certainly be keeping an eye open for them on our next trip to the shops. You can find out more about Simply Great and their different products by visiting www.simplygreatdrinks.co. If Pomegreat sounds like something that appeals to you, then this offer will appeal even more. If you purchase 8 cartons from Simply Great, you get another 8 free. Have you tried Pomegreat from Simply Great? Let us know what you thought of it by commenting below or connecting with us on Facebook and Twitter.